Our belief in the Trinity does not mean that we believe in three gods. Rather, it is one God that reveals Himself as Father, Son, and Holy Spirit. What does that mean for us recovering from addictions? Think of the Trinity as God’s relentless pursuit for us to know Him, love Him, and serve Him. Grace is something that we can come to appreciate as, through the love and mercy of God, we are offered the power to do something—or in many cases the power to stop doing something—that we’ve never done before. Hopefully that means experiencing sobriety through the aid of our Higher Power: God the Father, Son, and Holy Spirit. Continued sobriety requires us to participate in this grace. Reflection Question: How do you find relationship with God the Father, the Son, and the Holy Spirit? God is love, and all that is rooted in love is rooted in God. 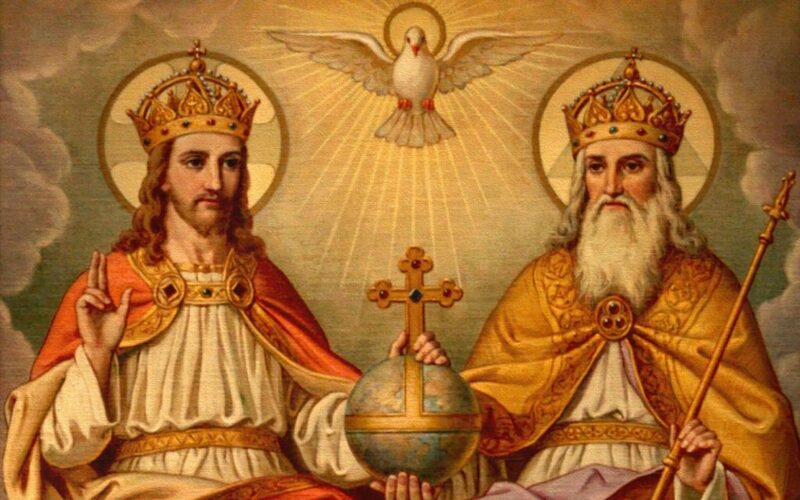 One of the best illustrations of the Holy Trinity can be understood using this lens of love. God is both lover (Father) and beloved (Son), and the love that flows between the two (Holy Spirit) lives in us and among us today. In recovery, we are asked to seek the God that dwells inside of us—perhaps something we have been hiding from for quite a long time—as we discern his will and ask for the power to carry it out. Thus, the Holy Spirit can also be known as God’s advocate here on earth, accessible to us just as much today as it was when breathed upon the apostles during Pentecost. Reflection Question: What spiritual tools do you use to listen to the will that God has for you? Confirmation gives us special grace and strengthens associated gifts of the Holy Spirit, so that we may confess our faith through our actions and our words. This sacrament continues the succession of the faithful that have walked the earth since the days of Christ. It ensures that our faith remains for generations to come. A beautiful connection to the ancient Church is signified by the laying on of hands, an outward sign of a movement that began with the apostles. In a similar way, when one alcoholic works with another or when one recovering gambling addict shares his hope with another that is seeking healing, they are continuing the movement that started Twelve Step recovery in the 1930s. In the process, each is strengthened and gets to know God in a new way through the other. Checking In: Do you have a sponsor that is guiding you through the Twelve Steps and/or a mentor that has accompanied you in your sacramental life?